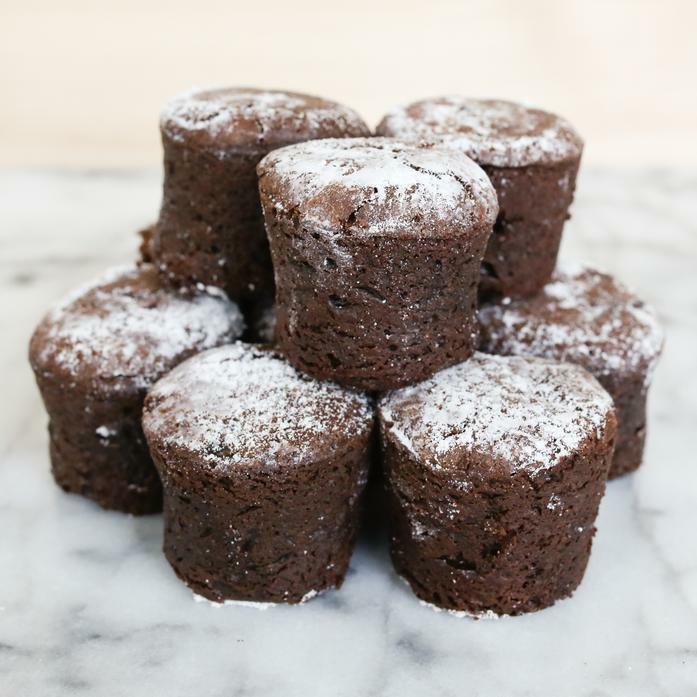 These gorgeous little brownies pack a big punch. Made from the finest Callebaut chocolate, they’re spiced up with a tinge of hot chili pepper – the perfect enhancement for high-end Belgian cacao. Ingredients: Local unsalted butter (milk), pure cane sugar, local eggs (egg), semisweet chocolate chips (sugar, unsweetened chocolate, soy lecithin, natural vanilla extract), cocoa powder, potato starch, tapioca, brown rice flour, millet flour, confectioners sugar, chili powder, pure vanilla extract, sea salt, xanthan gum.